For a profession reliant upon the minds of its officers and dedicated to understanding an inherently chaotic and disordered world, it is strange to find the answer to be, “No.” Naval intelligence has not paid serious enough institutional attention to how books can develop the minds of our officers and provide an improved sense of order. Certainly, there is a subculture of reading within the profession with informal pockets of encouragement, recommendations, discussion, and thoughtful incorporation of literary lessons scattered across the discipline. These informal pockets yield exceptional results in terms of the quality of officers, their performance, and in organizational results. They remain, however, too far and few between. It is well past time for our profession to better harness the power resident in reading in a more formal and comprehensive manner. At the risk of descending into madness like Nikolai Gogol’s character Aksenty Poprishchin in Diary of a Madman, I humbly offer this recommended reading list as “food to nourish and refresh the mind.” It is intended for the newly minted and the more experienced naval intelligence professional alike who may be unconsciously waiting for Kafka’s axe to strike. It is not your standard recommended book list that all-too-often comes across as something between paternalistic condescension and false triumphalism. Nor is it one of those exhaustive lists that in its attempt to be comprehensive and all-inclusive it becomes indigestible and useless. Instead, it is one that identifies books that cultivate certain key traits and characteristics I feel are necessary for all naval intelligence professionals. At a time when our profession is awash in ever increasing information and consumed with fitting into the IWC, these characteristics and their associated books will help us to understand our core competencies and what it means to be a naval intelligence professional. 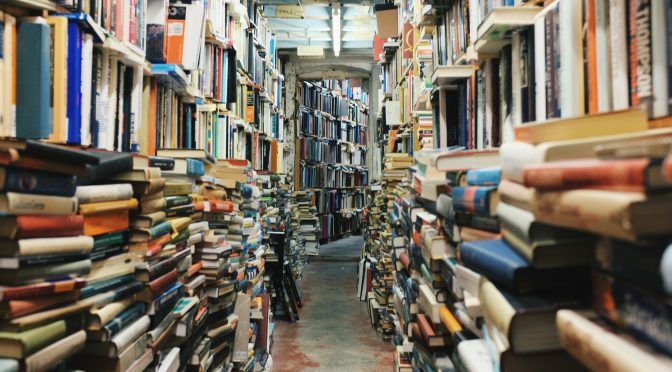 In all, it is a list of the books I wish I had known earlier in my career and one that might make the next intelligence officer–and the profession as a whole–that much better. It is probably too cliché to justify why naval intelligence needs to know its history using the old line that those who do not learn their history are doomed to repeat it. Perhaps more appropriate is to use George Bernard Shaw’s view from Man and Superman that “if history repeats itself, and the unexpected always happens, how incapable must Man be of learning from experience.” Naval intelligence cannot afford the luxury of not learning from experience. Since the experience that produces good judgment often originates with bad judgment, it is critical that naval intelligence professionals know both the good and the bad parts of our historical experience. It is simply the book on the history of naval intelligence in the Pacific during World War Two. It explains why we focus so much on operational intelligence and why, even as we are increasingly assimilated into the larger IWC, we must remain true to our profession’s primary mission – bringing the best possible knowledge of the adversary to the point of decision of a commander. While most readers will focus their attention on the key battles and events such as Pearl Harbor and Midway, I think our profession could learn a lot by examining the early chapters of the book. Those chapters detail how Layton and other naval intelligence professionals were “grown” in the interwar period. They spent years learning the language, culture, and other aspects of the U.S. Navy’s pacing threat – the Imperial Japanese Navy. It was this critical period in peacetime where Layton and others were deliberately given ample time to gain deep insights and knowledge of the adversary. This knowledge would go on to provide crucial advantages when great power conflict arose. In our age today when great power competition is at the forefront of the U.S. Navy’s mind, naval intelligence professionals should be given the time and space to think and learn about our current pacing threats. We could do much worse than following Layton’s recipe on how to be ready should great power competition turn into great power conflict. A must read for understanding the decisiveness of the information domain in warfare. The need to have access and control of information in warfare is not just a recent phenomenon. Winkler’s book is an excellent examination of how the British exploited and dominated worldwide strategic communications before and during the early years of World War One. The United States, realizing the value of that advantage and the danger it posed to it own national security, successfully worked to gain and maintain control over its communication networks through the war and its immediate aftermath. At a time when strategic communications are more global and diffused, it is essential we understand the history of how we righted the balance of control over our strategic communication networks once before and why we will need to do so again if called upon. We tend to be told the stories of Pearl Harbor and Midway in oversimplified narratives: Pearl Harbor was a case where naval intelligence was ignored and failure resulted, or Midway was a case where naval intelligence was used properly and victory ensued. What those oversimplified narratives ignore is the messy, ugly, confusing, difficult, and embarrassing process behind the end result. It was stove-piped cryptanalysis, disjointed intelligence dissemination processes, and downright hubris on the part of people like Admiral Kelly Turner that permitted crucial indications and warning to fall through the cracks in the lead up to the attack in December 1941. As for the Battle of Midway, it was a far closer run thing than people are led to think. In addition to the mistakes made by the Japanese and the ever-present role of pure chance, Rochefort fought daily against ignorance and professional jealousies across the naval intelligence bureaucracy to convince operational commanders like Admiral Chester Nimitz that the Japanese were heading to Midway. It is a testament to Rochefort’s penetrating knowledge of the adversary that he was able to convince operational commanders he was right and others in Washington were wrong. Without that knowledge of the adversary, he may not have been as convincing and history at Midway could have played out far differently. Digging into the mixed history of the process by which knowledge did or did not get to the point of decision of a commander is essential and Carlson’s book does it better than anyone else. Simply one of the best writers of history period, Hornfischer lays bare the human costs of not knowing or underestimating your adversary. Willful or not, ignorance and absence of knowledge of the adversary cost the U.S. Navy greatly in the Guadalcanal campaign of World War Two. Just a few short months after the victory at Midway, the U.S. Navy still did not understand Japanese doctrinal preference and proficiency at nighttime naval warfare and in their superior torpedoes. This led to horrendous losses at the battles of Savo Island and Tassafaronga. These insights into the Japanese adversary were in pre-war intelligence reports but were never filtered into the average tactical commander’s decision making. Naval intelligence professionals should use this history to justify expanding its role and responsibilities in the critical areas of training and planning. There are of course many enemies of intelligence. We tend to think of these enemies only in an external sense, e.g. foreign navies. Betts makes the case there are far more consequential threats to naval intelligence beyond the external. There are, as he describes, innocent and inherent enemies. The former set includes bureaucratic and individual negligence, bureaucratic turf wars, and deliberate constraints placed by well-intentioned leadership yet still causes damage to effectiveness. It is the latter set of enemies where Betts makes his most thoughtful contribution to understanding why intelligence fails. Inherent enemies consist of cognitive limitations, trade-offs between objectives, and defects in organizational design. These enemies are prevalent throughout the intelligence cycle and are extraordinarily resilient. As Betts argues, it will take one, awareness of these enemies (not always so easy to admit) and two, a dialectic rather than linear approach to obtain solutions. Social critic Christopher Hitchens in Letters to a Young Contrarian argued, “The essence of the independent mind lies not in what it thinks, but in how it thinks.” In our foundational training and throughout the on-the-job training we get from command to command there is, quite rightly, a lot of emphasis on what we think about the adversary and what we think about the process for producing intelligence. Unfortunately, there is too little weight placed on how naval intelligence professionals actually think. How does our brain process information? How does one compare and contrast bits of information to form an assessment or make a decision? What is it that causes us to make mental mistakes and miscalculations? How do biases affect judgment? Over the past few decades a whole science of cognitive behavior has emerged that is exploring and coming up with the answers to these questions. The relevance to a profession that relies almost exclusively on the minds of its people is obvious. For the foreseeable future analysis will remain a very human endeavor and as such how our mind works will play a crucial role in our performance. Thinking is certainly something our profession ought to think a bit more about. Too often we mistakenly assume rational thought when we predict the behavior of potential adversaries when in actuality human thinking and decision-making is often quite irrational. Kahneman did much to dispel the myth that humans rationally maximize gain and minimize loss. From Prospect Theory (the work that led to his Nobel Prize in Economics) to his examination of the many heuristics and biases that affect decision making, Kahneman’s work is the foundation and inspiration of later cognitive scientists. It should be mandatory reading at the Naval Intelligence Officer’s Basic Course (NIOBC). I could begin and end the summary of this book by simply stating that in a forecasting competition sponsored by the Office of the Director of National Intelligence, Tetlock took a team of amateurs using his theories on how best to predict the future and beat a team of intelligence professionals with access to classified information. While some will counter-argue there is a nuanced distinction between forecasting and the estimation intelligence is generally more involved with, it is a distinction without a difference. For a profession that is expected to be able to assess what adversaries will do next, Tetlock’s findings and recommendations on the skills and talents required of good forecasters are absolutely essential to understand in order to advance our profession into an age of big data and machine learning. A solid argument for how to organizationally apply Tetlock’s work and think about the future using more Bayesian strategies. If you are unsure what “Bayesian” means, you definitely need to read the book (in summation, think probabilistically and update often). At a time when we are awash in informational noise Silver offers a path for any naval intelligence officer or work center to find the knowledge-bearing signal. Psychology of Intelligence Analysis by Richards D. Heuer, Jr.
Another book that ought to be handed to each naval intelligence officer upon entering NIOBC. The former CIA analyst takes a lot of what Kahneman and other behavioral and cognitive scientists have discovered and created a series of methodologies and structured analytic techniques useful to any naval intelligence officer and work center. As we learned from Layton’s story, acquiring deep insights of the adversary necessary for great power conflict does not happen quickly. It takes time, resources, and dedicated initiatives to grow naval intelligence officers into experts on the adversary. We can get an early start, however, just by taking the time to read what those who have spent their lifetime studying them have to say about our potential adversaries. Instead of overreliance upon on-the-job-training and occupational osmosis naval intelligence officers should be encouraged and expected to read about adversaries over the entire course of their career. They should read books by different authors with contrasting positions or outside views not all necessarily in line with current analytic consensus. Naval intelligence commands should also consider having discussion groups and inviting authors and academics to discuss their works. As someone who chose to seek knowledge on China, I offer up the following books to my China watching comrades but there are certainly similar works for those looking at other potential adversaries. To be honest I could have listed any book written by Simon Leys, the pseudonym for Pierre Ryckmans, a Belgian China Watcher who passed away in 2014, and it would be at the top of the list. To defend the importance of Leys to naval intelligence please forgive me for referring back to Ender’s Game where Ender explains how he is able to defeat the enemy, “In the moment when I truly understand my enemy, understand him well enough to defeat him, then in that very moment I also love him. And then, in that very moment when I love them…I destroy them.” Leys’ writings will take you from art to literature to politics to history to poetry with a passion that makes it clear Leys is truly someone in love with China. He will widen your awareness of how all these subjects intersect and influence each other. He will help to identify where China is weak and where it is strong. Where it can hurt us and where it can be hurt. Passionate, objective, immersed, and thoroughly erudite, Leys is the standard by which any China Watcher should measure themself. To understand an adversary one must be able to know the philosophical and theoretical underpinnings behind their thought process. French philosopher and Sinologist François Jullien provides a fantastic and usable historical examination of Chinese philosophy on efficacy and ultimately on strategy and decision making. Both of these works explore how the Chinese tend to think more about the potential in a given situation rather than in a linear plan of action and their preference to induce change rather than impose it. As we think about, gauge, and predict China’s intentions in the world we would be wise to understand the underlying philosophy behind their strategies. Similar to Jullien, Nisbett provides another examination of Chinese thinking, this time through the lens of a psychologist rather than a philosopher. Using academic research Nisbett finds dramatic differences between how Westerners and Easterners think about self and group; certainty and probability; truth and harmony; and permanence and change. These differences in thought naturally lead to insights into the positions, opinions, and decision-making of China’s leaders. Before today’s current reassessment on China’s ability to transform into a more liberal state there was James Mann’s The China Fantasy. Before Mann there was the optimism of three American presidents who believed that ascension into the World Trade Organization will change China for the better. Before the optimism of three presidents was the Tiananmen Square massacre. Before the Tiananmen Square massacre there was Jonathan Spence and his cautionary reminder that the West has a long history of thinking it can transform China and ending up with tragic disappointment. Rarely are the deep insights of foreign government officials found in English. But the rarest of all are those insights given by individuals under confinement and forbidden from communication with the outside world. The secret journal of former Chinese Premier Zhao, who was an integral part of Reform and Opening Up and led the government during the turbulent period of Tiananmen Square in 1989, provides an unmatched look at the innermost machinations of the usually opaque Chinese Community Party (CCP). Speaking of the CCP, perhaps the first China Watcher of the post-1949 era was a Jesuit scholar based in Hong Kong from 1953-1982. Producing a weekly newsletter, “China News Analysis,” Ladany analyzed official Chinese news sources to report on political and social trends within the secretive and relatively closed off state. After retiring (and after China began to open up), Ladany went on to write one of the most definitive histories of the CCP. Using primary sources, party historical documents, and interviews with principle actors involved, Ladany’s history generated a most profound and necessary understanding of the machinations of the CCP. At a time when the CCP appears to be ascendant, the insights and lessons of Ladany’s book remain quite relevant for the newest China Watchers. Naval intelligence is but one part of a larger whole. From naval intelligence there is the larger intelligence community and naval force. But even those parts contribute to a larger assemblage of strategy, the joint force, and geopolitics. Understanding this larger whole is crucial in being able to properly frame the answer to one of intelligence’s hardest questions, “So what?” Without it we risk devolving our course of enquiry into the unnecessary, distracting, and perhaps most insidious – the self-serving. The bigger picture is lightly touched upon in our early training but not again until we reach our mid-careers through the war colleges. Instead we should, as 3rd-century BC Chinese Confucian philosopher Xunzi teaches, “fear becoming mentally clouded and obsessed with one small section of truth.” While our efforts and attention should weigh most heavily on naval intelligence’s core competencies, missions, and tradecraft, we should ensure we remain relevant by always keeping in mind the larger environment within which we operate. Certainly an obvious choice for understanding the bigger picture of war. What makes Clausewitz so important is not in the pithy quotes that are often casually bandied about but in his deep insights into the nature of war. While the character of warfare is changing especially for those of us operating in the information domain, Clausewitz uncovers eternal truths about its nature that will always apply. From the importance of balancing the “remarkable trinity” of emotion, chance, and reason to understanding the results of war are never final to war’s inherent nonlinearity, Clausewitz speaks across the generations. Often seen as secondary in importance to Alfred Thayer Mahan when it comes to maritime strategy, Corbett’s thinking is of far more practical use for those working at the operational level of war and below. While Mahan is certainly brilliant when it comes to thinking about a national maritime strategy, he has far less value when it comes to operational and tactical planning. It is at those levels that understanding Corbett’s conception of command of the sea is essential. Corbett’s command of the sea was a relative and fluid term whose achievement should be seen not as an end to itself, but as a condition to enable follow-on military operations. It is a simple idea yet often forgotten or neglected when maritime planning seeks to synchronize with other warfare domains. He is also an excellent balance against the tendency of some who argue that all a navy is good for is to destroy the other person’s navy. I originally intended to use Professor Milan Vego’s Joint Operational Warfare Theory and Practice here to speak to the importance of planning but at 1500 pages and close to ten pounds I erred on the side of safety and went with the U.S. Navy’s shorter version. As President Dwight Eisenhower so famously remarked, “Plans are worthless, but planning is everything.” What makes planning so essential is going through the steps of the process itself forces the examination and competition of ideas, options, and contingences for the employment of military force. Through that process knowledge about objectives, the adversary, and ourselves is discovered and improved upon. It is improved to the point that, provided the process is thorough, the planning staff is able to react to any of the complex, nonlinear, and surprising events that always unfold in war. While I think many of his other books are problematic, I do think Kaplan in this specific book is quite useful as he makes the classic realism of geopolitical theorists Halford Mackinder and Nicholas Spykman very accessible to those who would not otherwise be inclined to read the far dryer primary sources. I think we often forget/ignore/incompletely understand the geopolitical factors involved in the world. As an example, back in 2010 China’s Foreign Minister Yang Jiechi, in response to questions over other nation’s maritime rights in the South China Sea, retorted with the now infamous line, “China is a big country and other countries are small countries, and that’s just a fact.” As crass and brazen as that statement was, it was also an accurate description of geopolitical reality. China is a big country in terms of people, physical size, and economic potential. It also occupies a commanding and central position on the Eurasian landmass. If we really are realists (as most in the military would probably self-identify) and think the world largely turns on issues pertaining to state power, that geopolitical reality matters a lot. Rather than as an eternal struggle for power, we often look at world politics through the lens of a leader of the rules-based international order. As a result, we wrap our narratives in the idealistic trappings of international law and the liberal order. That view blinds us to the elemental drivers and rationales – like geography – for how and why state actors behave the way they do. Mackinder and Spyckman understood those realities and went to great lengths to warn us against ignoring them. Kaplan’s book does a solid job in bringing those ideas to a usable light. At first glance it may seem odd to suggest a book focused on a naval battle conducted over one hundred years ago. From the centrality of command and control, to the importance of training under war-like conditions, to incorporating new technology, to the danger of hubristic thinking in peacetime, Gordon’s examination of the Battle of Jutland during World War One provides an extraordinary trove of invaluable insights relevant to the naval intelligence profession today. If we want to stave off the “creeping sickness” that a peacetime fleet tends to invite during the “canker of the long peace” we have found ourselves in since the end of World War Two, every naval intelligence officer needs to read this book. General George Patton is quoted as once saying, “If everyone is thinking alike, then somebody isn’t thinking.” It is fortunate to have someone of Patton’s war winning– ilk exposing the paradox of the two opposing characteristics necessary for military success– contrarianism and obedience. Neither characteristic should dominate the other, but each is essential. We would not want a military consisting of nothing but contrarian thinking anymore than we would want one full of complete obedience. The genius is in finding the right balance for the right time. Within naval intelligence we too often favor a form of obedience through our infatuation with analytic narratives. Narratives attribute an overarching rationale for behavior and are used to drive our estimates of enemy courses of actions and color our everyday assessments of adversary activities. Recent academic research into attribution bias discovered behavioral attributions made through adherence to a preconceived narrative do not always reflect reality. While convenient for justifying or explaining assessments, an overuse of narratives risks systemic bias and analytic errors over time. These types of errors are threaded throughout the case studies on intelligence failures conducted by Robert Jervis and Thomas Mahnken in Why Intelligence Fails, and Uncovering Ways of War, respectively. Based on her research into the effect of dissent within groups, psychology professor Charlan Nemath finds in In Defense of Troublemakers that dissent “breaks the blind following of the majority and stimulates thought that is more divergent and less biased.” Thus, the contrarian offers a remedy to the obedience of narrative bias with little downside. Through an insistence on looking at a problem differently, the contrarian provides two possible benefits: one, successfully defending a narrative against a contrarian will subsequently improve it; or two, if the narrative falls apart the opportunity to alter or abandon it arises. As writer Malcolm Gladwell emphatically suggests it is our “responsibility as a person to constantly be updating your positions on as many things as possible. And if you don’t contradict yourself on a regular basis, then you’re not thinking.” Similarly, novelist F. Scott Fitzgerald observed, “The test of a first-rate intelligence is the ability to hold two opposed ideas in the mind at the same time, and still retain the ability to function.” It is essential naval intelligence professionals update our analytic positions constantly and be able to pass Fitzgerald’s test. In a field where we can often find ourselves making predictions out of assumptions and minimal evidence, it would be good for naval intelligence to keep Klosterman’s Razor – “the best hypothesis is the one that reflexively accepts its potential wrongness to begin with” – always in mind. This is an outstanding inquiry into the social psychology of military organizations and the pathologies of individual military leaders. Using historical case studies and cognitive behavioral theories (of the time the book was written), Dixon masterfully identifies key traits and behaviors in organizations and the leaders they create that lead to military incompetence. Dixon’s analysis of how militaries tend to encourage and promote “authoritarian”-type commanders, fawning to superiors and often harsh or uncaring to inferiors, is especially useful for a profession still wrestling with talent management and how to grow senior leaders for the IWC. For a profession that is time poor and finding itself increasingly overloaded with information, Newport’s critique of the assumed benefits of ever-present technology and constant connectivity should be considered closely. Our profession is entirely reliant on the mind of its professionals and Newport points to the empirical studies showing the negative impact technology and social connection has on mental health and cognitive performance. He argues we need to better prioritize what is essential in our work and ensure that technology is not making us worse. He also possesses a confidence to offer ideas that are not immediately popular and often derided initially. In the face of that societal pressure, his commitment alone to his contrarian ideas is one naval intelligence officers would do well to emulate. Naval intelligence professionals should make time to read fiction as well. For those that see this recommendation as frivolous or something without connection or meaning to the real world I offer two reasons to do so. The first is a singular reliance on nonfiction and its objective descriptions of the happenstance of life is insufficient to acquire deeper knowledge and wisdom. As valuable as it is, nonfiction tends to trap itself in objective accuracy. Fiction on the other hand can move you beyond the objective and into something more real than accuracy–it can reveal what is true. Even though technically untrue fiction is able to, as novelist Ernest Hemingway describes, “be true in proportion to the amount of knowledge of life that he [the writer] has and how conscientious he is; so that when he makes something up it is as it would truly be.” Fiction thus can uncover a deeper truth behind the objective realities that preoccupy our profession. The second reason for reading fiction is it inherently draws from the imagination. It drives the mind to think well beyond what has happened and toward what is possible. Naval intelligence, as with many other occupations, is often trapped into a sense of complacency based on observations of past events. As polymath Nassim Taleb’s Thanksgiving turkey in The Black Swan discovers, just because it was well-fed and taken care of every day of its life does not guarantee that this day will be the same. Fiction offers an approach to break out of the conventional thinking that can lead us unwittingly to the butcher’s block. Novelist Umberto Eco wrote in Six Walks in the Fictional Woods, “To read fiction means to play a game by which we give sense to the immensity of things that happened, are happening, or will happen in the actual world.” That is certainly a game naval intelligence has always played and will need to continue to do so. We will be poorer at the game for ignoring Eco’s observation. Speaking of Hemingway, his fictional tale of a Republican guerrilla unit in the Spanish Civil War is an emotionally moving story of war, love, and loss. It is an important reminder that ideas are powerful. They are powerful enough to compel people to fight and die for them even when they are lost causes. As the central character Robert Jordan reminds us, “If we win here we will win everywhere. The world is a fine place and worth the fighting for and I hate very much to leave it.” There are things worth dying for – and both sides of a conflict can think it. To reinforce the importance of deep knowledge of the adversary discussed earlier, it is critical that we are also reading their fiction. You can certainly learn a lot about another culture from nonfiction, but you learn so much more when it is supplemented with knowledge of how they imagine and dream. While it is foolish to extrapolate too much from what one author writes, I do think each of these books offer examples of how fiction can provide additional insights into potential adversaries (in this case, China). Cixin Liu’s work exposes approaches to confrontation and conflict as well as how best to find solutions to societal problems. Jin Yong’s (pen name of Louis Cha) speaks to the importance of history and a not too subtle hint of the superiority complex of Chinese people. And lastly the importance of reading two of the classics of ancient Chinese literature is best summed up by the old saying, “The young should not read Water Margin [with its glorification of rebellion and lawlessness] and the old should not read Romance of the Three Kingdoms [with its deviousness and plotting].” Naval intelligence professionals should read them all. This endlessly fruitful process leads me to my second hope, that we use this list to begin a conversation that is less about how we fit ourselves into the mold of the IWC and more about what it means to be a naval intelligence professional. In his book The Island of Knowledge, theoretical physicist Marcelo Gleiser describes how knowledge expands concurrently with increased awareness of what we do not know. Like an expanding island representing knowledge in a sea of the unknown, the lengthening coastline symbolizes the increasing realization of what we do not know. That is the realm in which naval intelligence officers need to operate –the unknown. We need to move ourselves off the comfortable island of the known. We need to seek out and advance into the waters of the unknown and increase that island of knowledge for the naval force. In an age where information is ubiquitous, we, the naval intelligence profession, must make creating knowledge out of the uncertain and unknown our core competency. Books, and the knowledge and questions they spawn, will play a key role in transforming us into warriors of something far more decisive than mere information–we will become knowledge warriors. A reading list by itself will not be sufficient to create knowledge warriors. We will need to also create a culture of “professional sailor-scholars” as sailor-scholar himself, Commander Chris Nelson describes it. We need more teachers, more naval intelligence leaders, and more peers reading and encouraging reading to create a professional culture that produces knowledge warriors. To paraphrase science-fiction writer Arthur C. Clarke, while this book list does not pretend to have all the answers, it does lead to asking better questions and “the questions are certainly worth thinking about.” This reading list is only a start. Our island of knowledge needs expanding. Knowledge warriors, what books do we need to add?